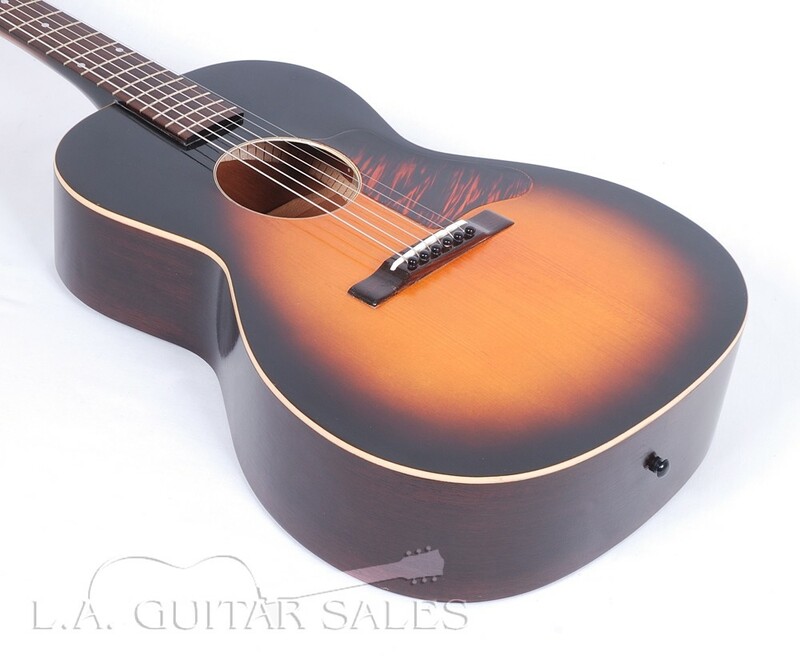 This is a one owner 1939 Kalamazoo KG-14 in amazing condition. 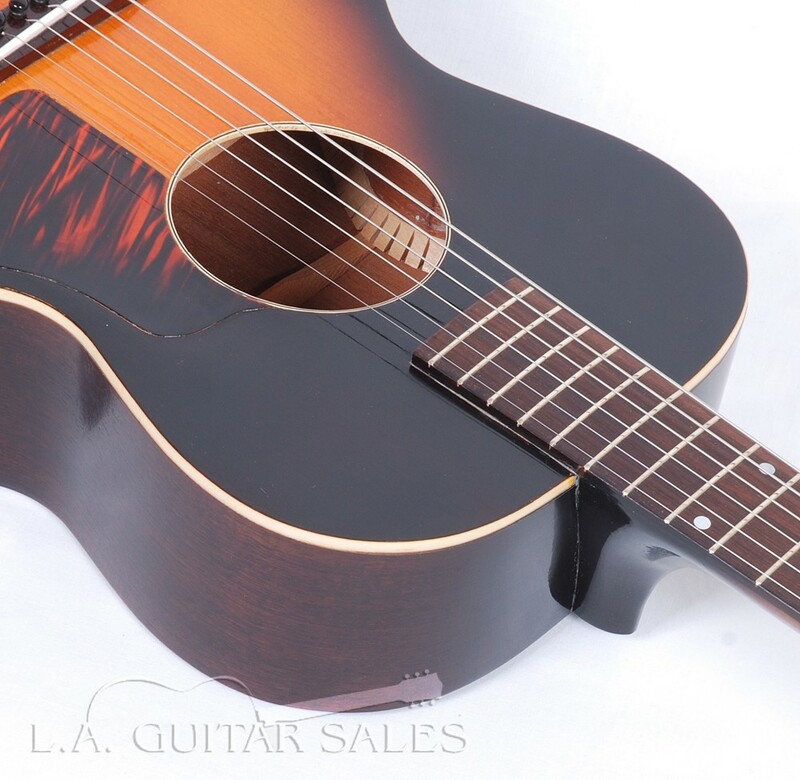 This guitar has a full setup restoration March of 2018 at Asher Guitars here in LA including a neck reset so it now plays as good as it looks and sounds. 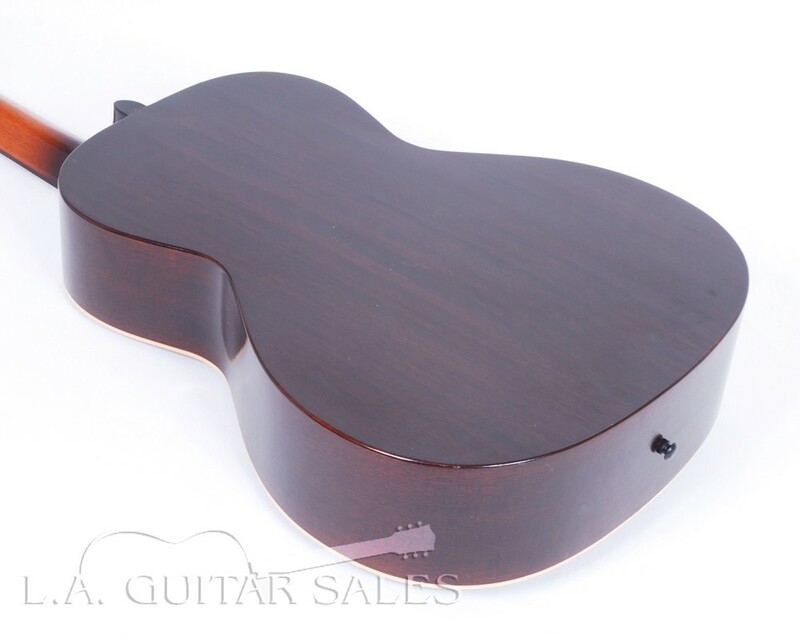 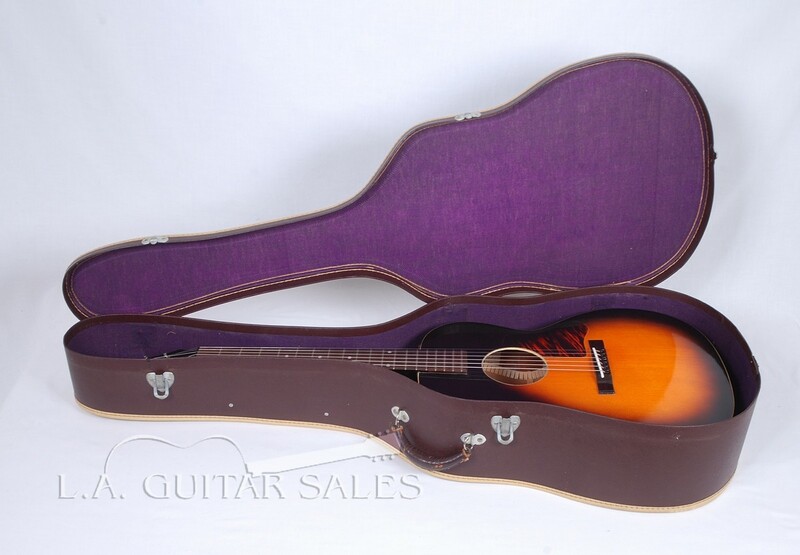 Comes with original case and the original tuners which have been replaced. 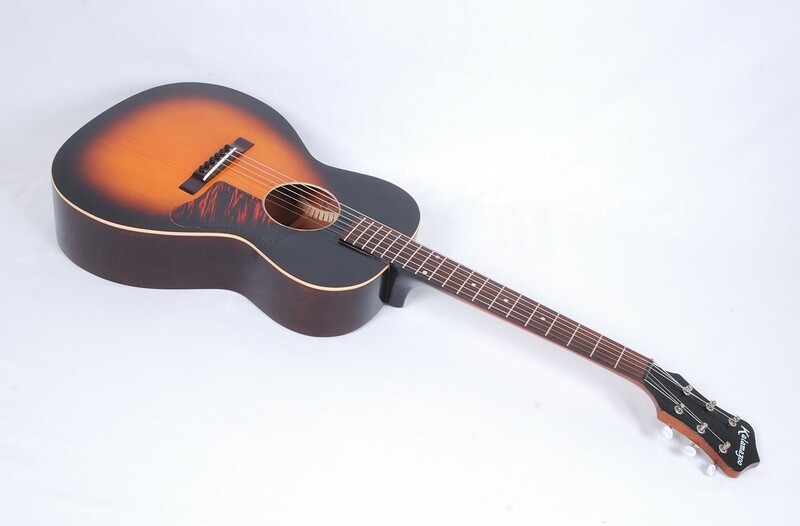 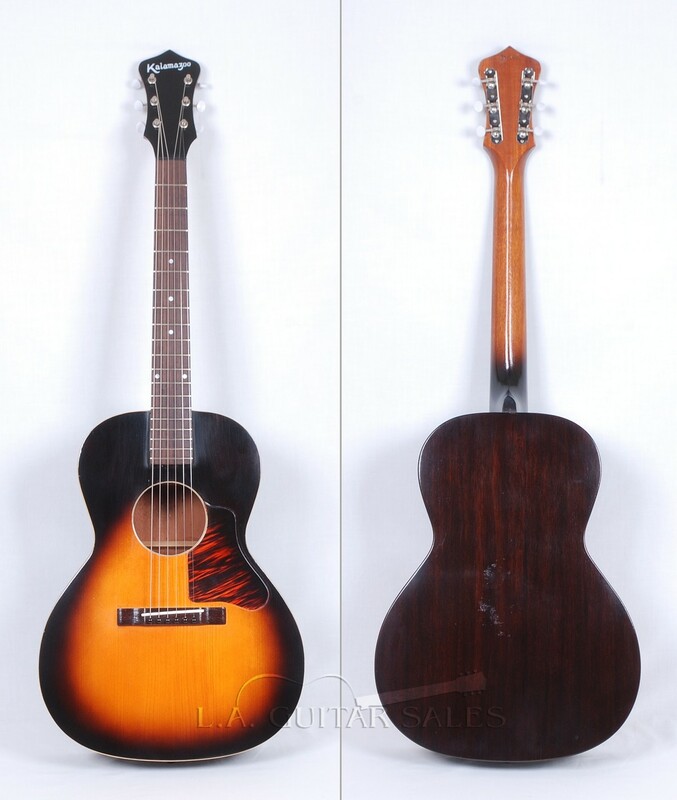 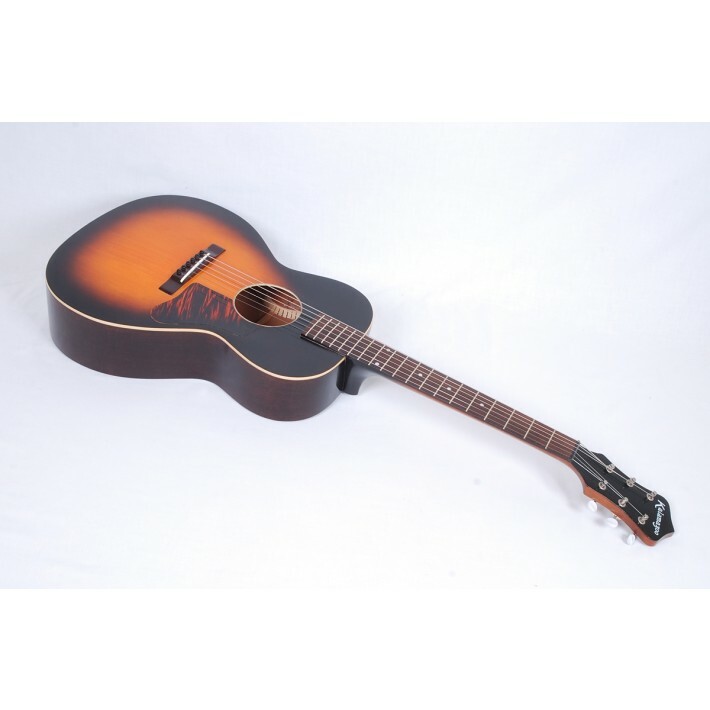 The KG-14 was made by Gibson in Kalamazoo, Michigan featuring a 00 size body, sunburst finish, spruce top, mahogany back, sides, and neck, ladder bracing, Brazilian rosewood fingerboard and bridge, and a firestripe pickguard. 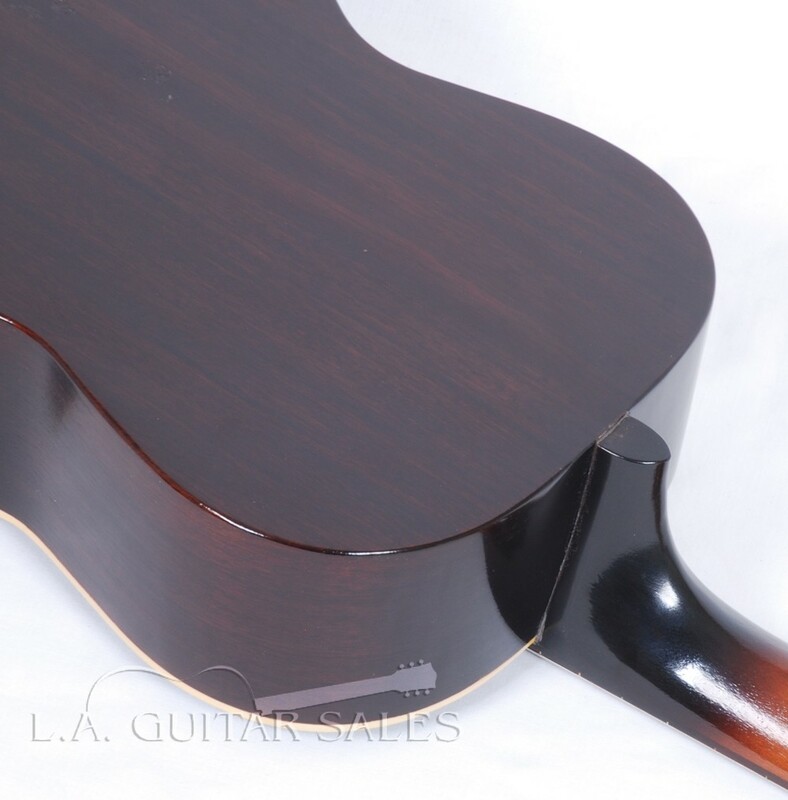 String Spacing @ Saddle 2-3/8"
This guitar has a complete rework March of 2018 including a neck reset, fret crowning and full setup. 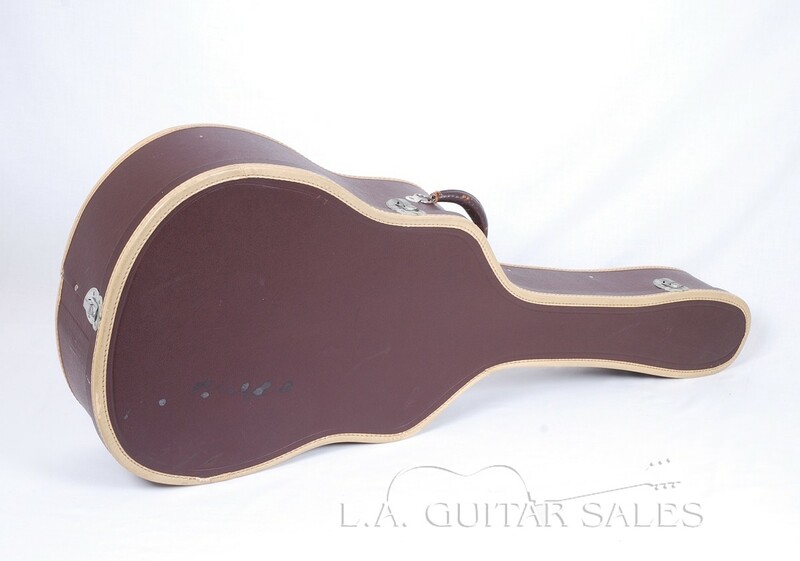 The finish has been polished but it's all original. 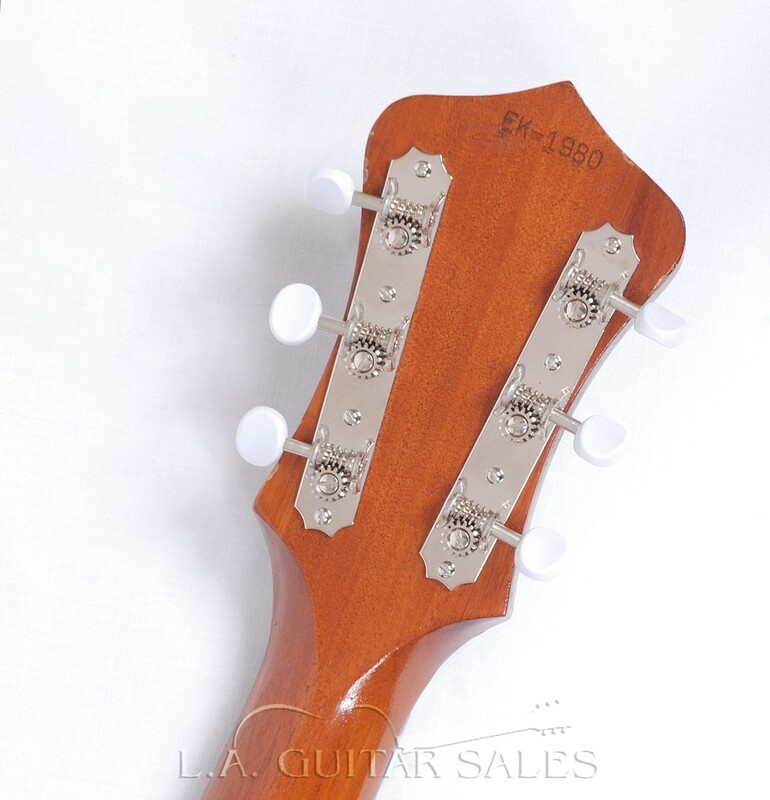 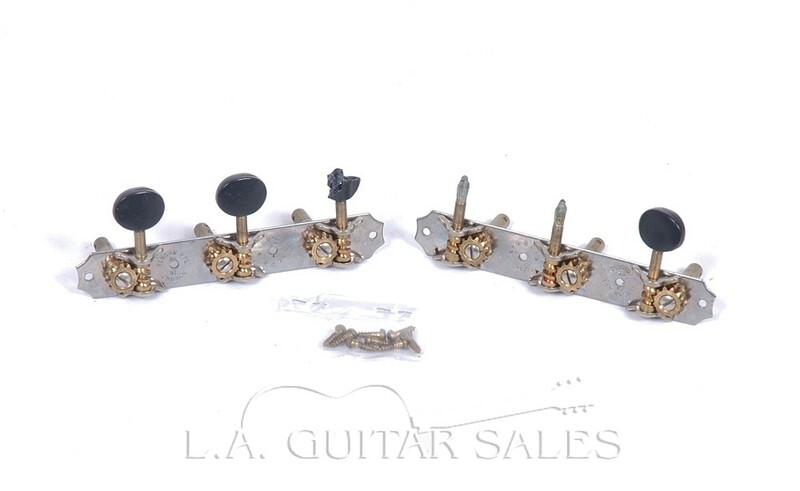 The original tuners have been replaced but are included as is the original case. 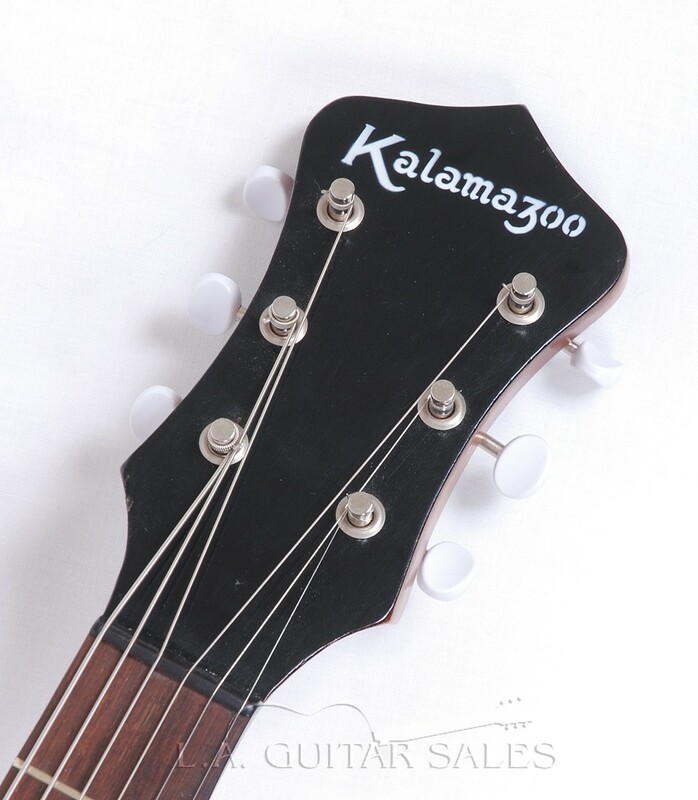 A true time machine and easily the nicest Kalamazoo models we've seen come through the store.